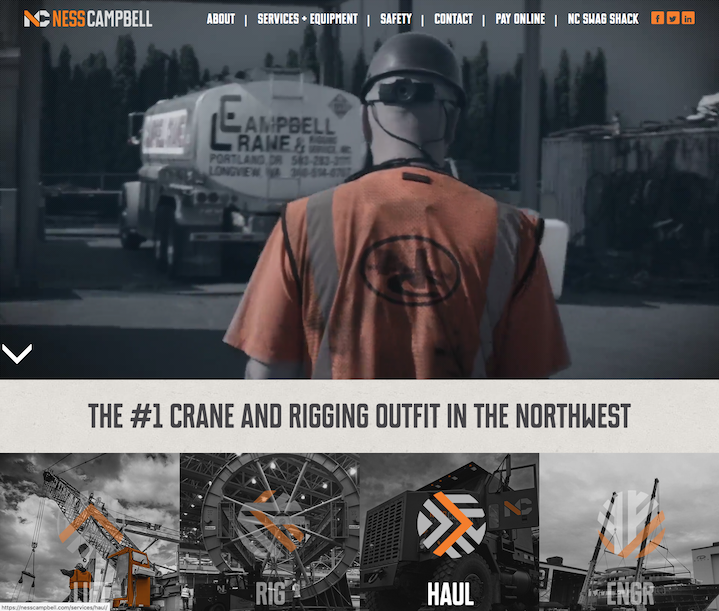 NessCampbell (link) is a Crane and Rigging company: they lift and move huge things like bridges and delicate things like Daytona 500 autos. Their old website didn’t begin to communicate their character, professionalism, and standing. Watson Creative did the redesign, and hired me to write new brand language and website copy. Watson came up with the structure and section headings: I wrote everything else in close collaboration with NessCampbell executives (who I just loved).